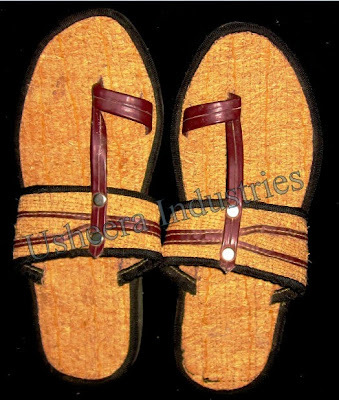 Foot wears made from roots of ramacham act as an antibacterial and thus protects our skin. It protects your foot from bacterial diseases. This special footwear is very comfortable to wear, light weight and also gives coolness. It renders immediate relief to different forms of aches, numbness, allergies, burning sensation, pain in the knee and other joints. It absorbs the sweat and balances the body temperature resulting in a sense of well-being beyond the imagination! 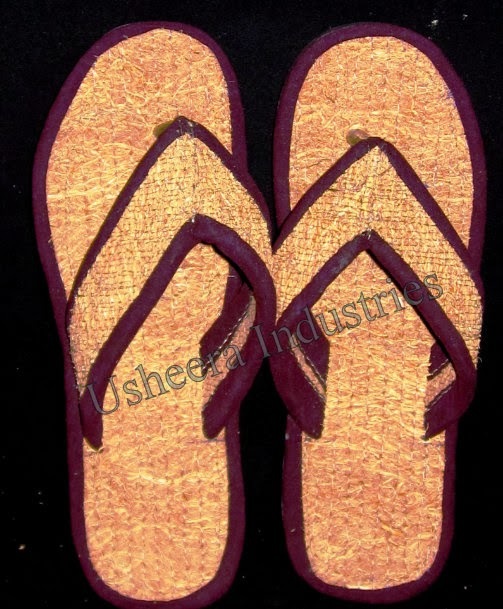 Available in attractive designs and sizes. The unique acupressure technique helps the regular users of ramacham sandals to be a healthy comfort. Copyright © Usheera Industries | Powered By ForthFocus. Theme Re designed by ForthFocus.